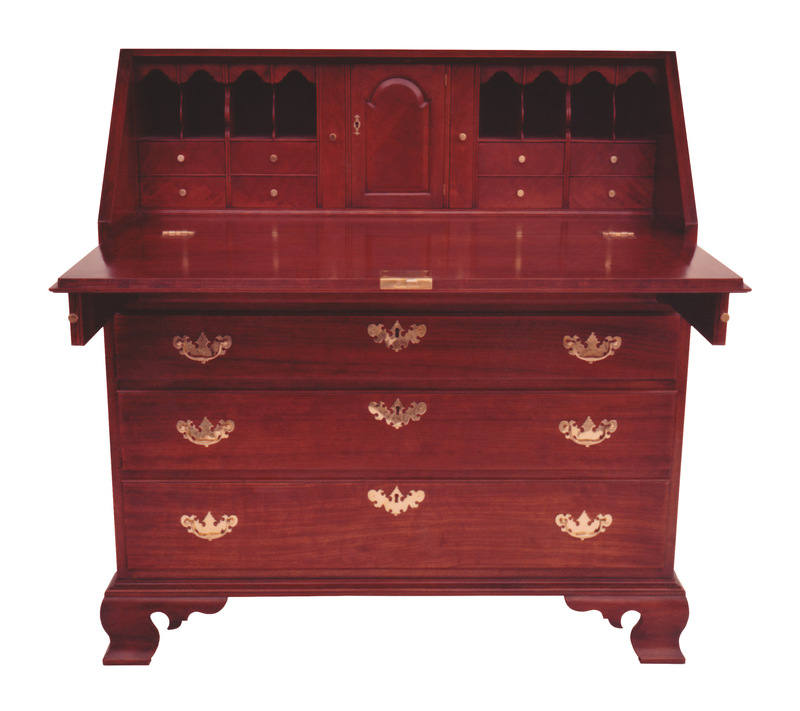 Organize your world with a desk of the highest quality. 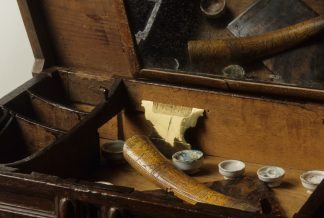 Historically, Chester County Pennsylvania is unique regarding stylistic diversity. 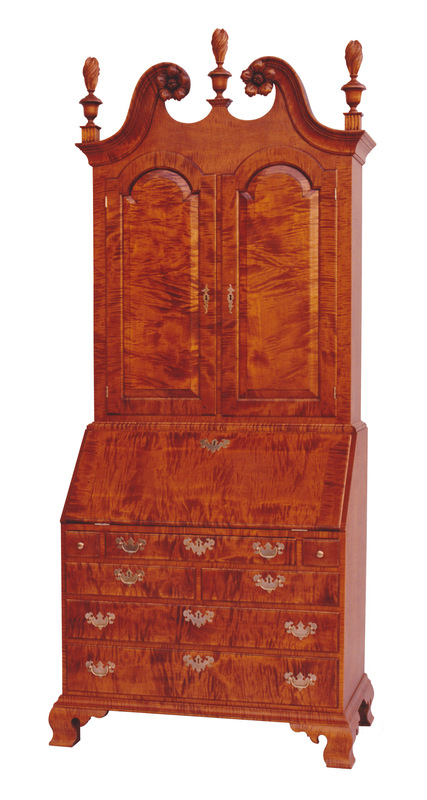 Because the region was home to settlers from a variety of countries and religions, furniture design had many different influences. 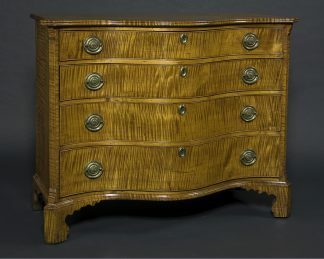 That also means you’ll occasionally find pieces, like this one, made in tiger maple – an 18th-century rarity that can be used for any piece you may desire. 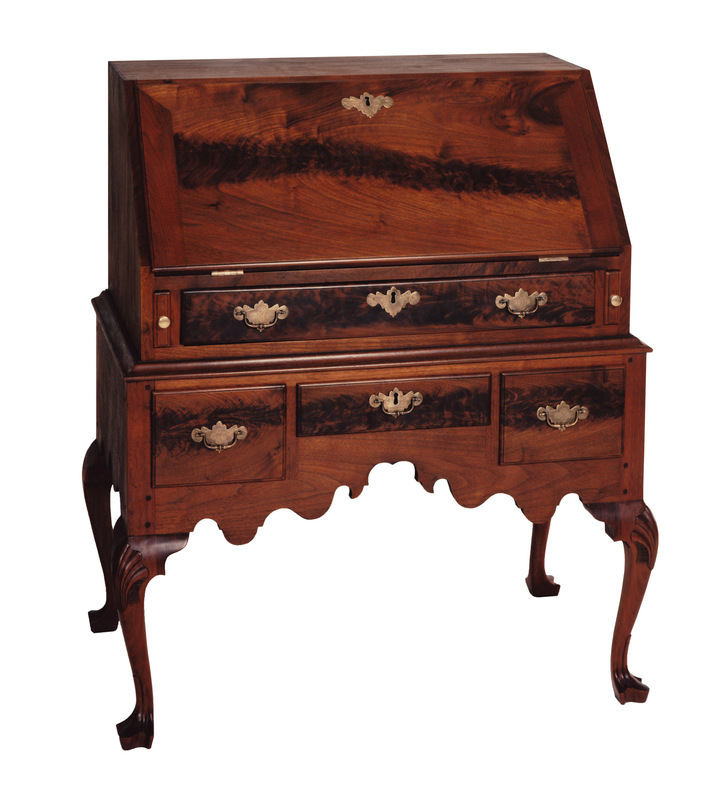 With its shell-carved interior drawers and straight bracket feet, this desk displays many of the hallmarks of the Queen Anne style (Late-Baroque), although the original was probably made during the Chippendale period (1750 – 1770). Styles often remained in vogue later in areas outside the city centers in America. 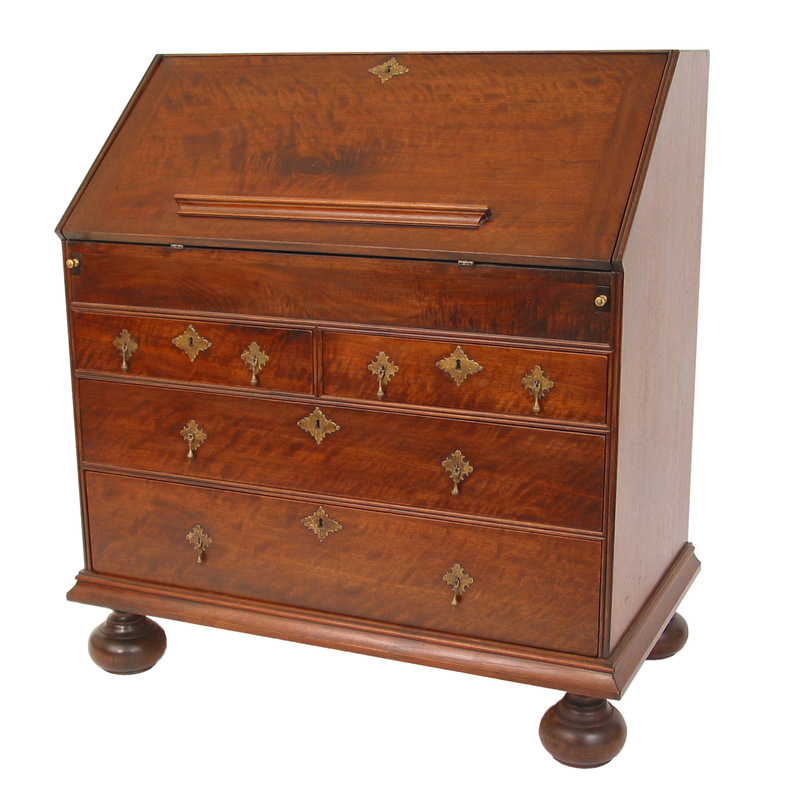 The desk-on-frame form is rarer than its big brother the fall-front (or slant-front) desk. 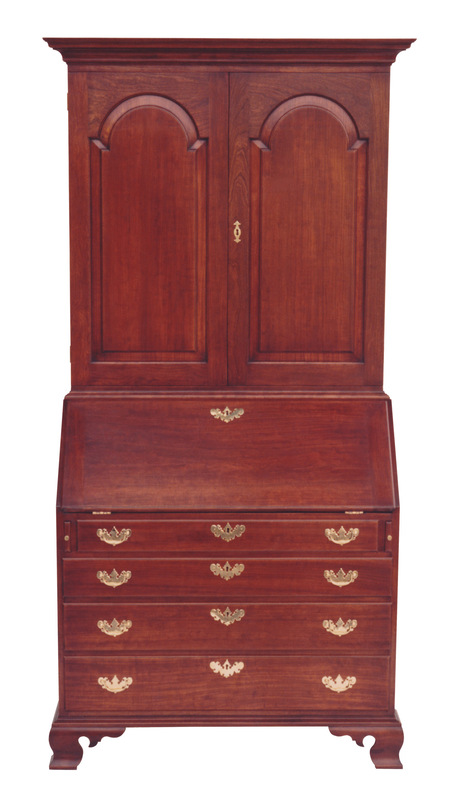 Smaller in size this form offers a lighter, more compact appearance while still offering tremendous storage and organization. 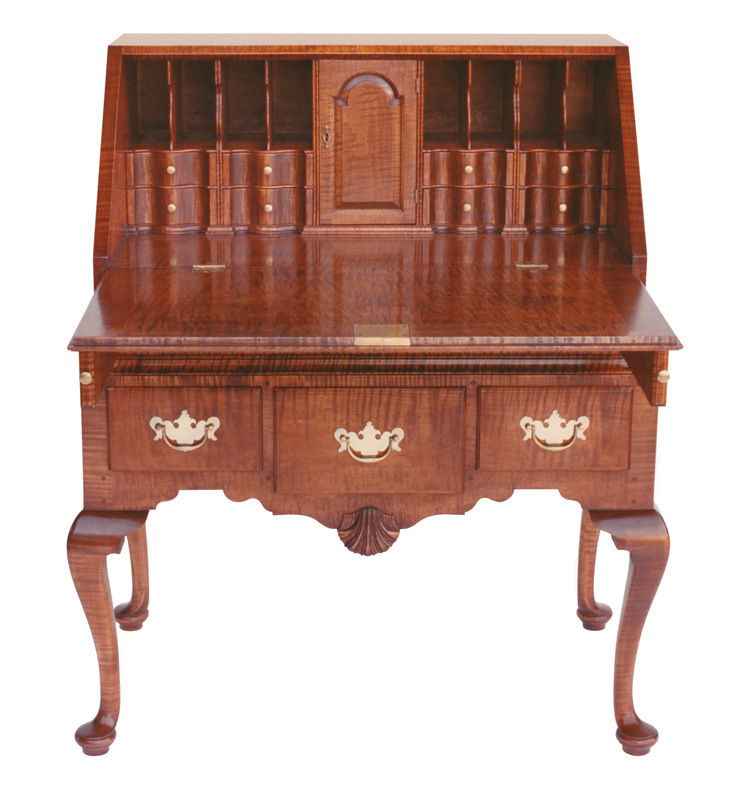 The amphitheater interior, where the drawers and pigeon holes increase in depth towards the outside of the desk, is also rarer other desk interiors. 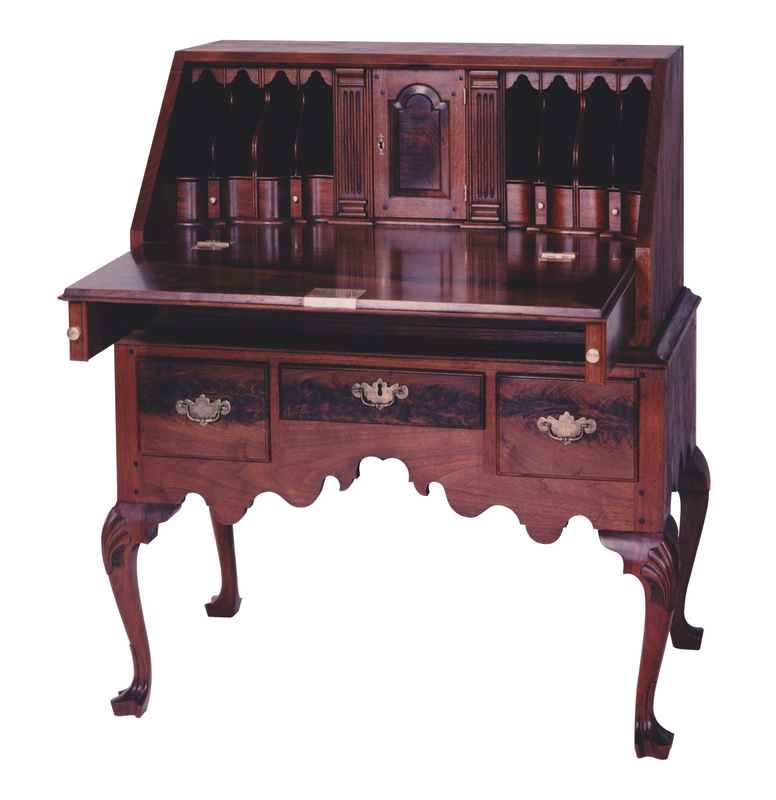 While this desk has all the hallmarks of a period piece, but in actuality it is a design that never existed. 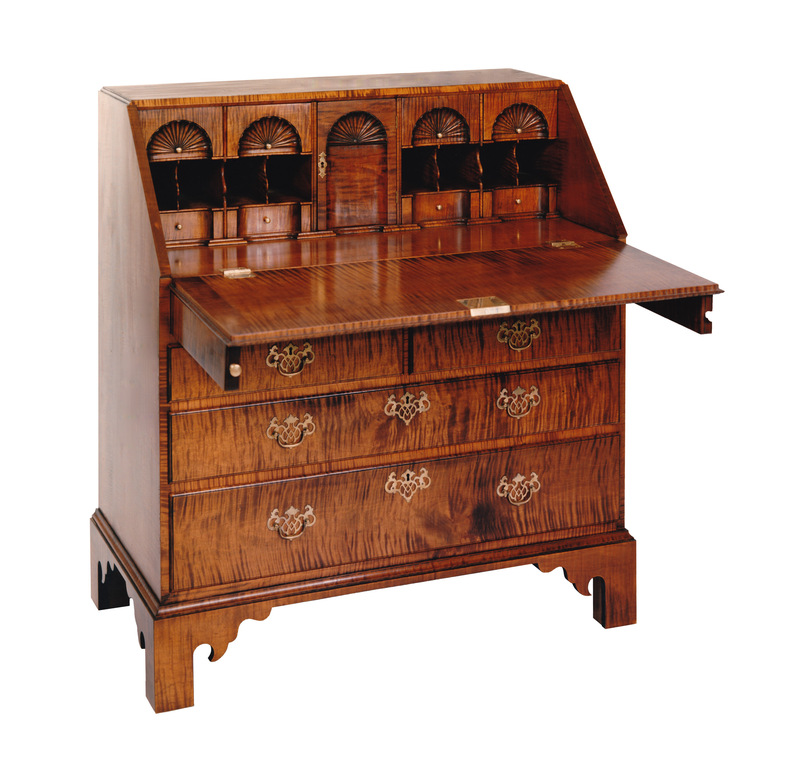 Beginning with a desk of a much later period, the details and dimensions were modified to accommodate the likes of a particular customer.